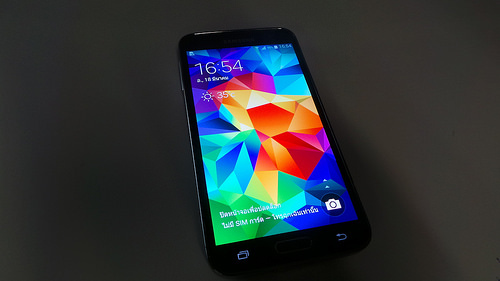 The Galaxy S5 is one of the coolest smartphones of 2014. Like every Galaxy S that has come before it, there are cool features, dumb features, and features you’ll probably never use. Need to quickly take a picture of something? The S5 lets you take a picture directly from the lockscreen just like the iPhone. To do that, simply swipe up while tapping and holding the camera icon from the lock screen. If you don’t see a camera icon on your lock screen, then you can enable it by going to Settings > Lock Screen, where you’ll find a checkable box beside Camera Shortcut. 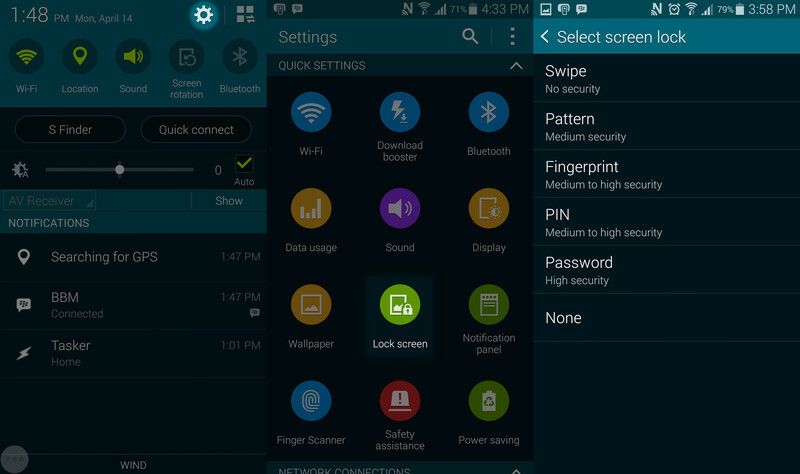 Lock screen customization options let you quickly and easily view important information. Customizing your lock screen on the Galaxy S5 is easy. Just go to Settings > Lock Screen, where you’ll find a bunch of customization options. Those customization option includes different unlock methods as well as a dual clock, date display, and plenty of other useful widgets. The Galaxy S4 and the Galaxy S5 can both function as TV remotes. If you don’t like traditional TV remotes, then your smartphone is an excellent more advanced option. 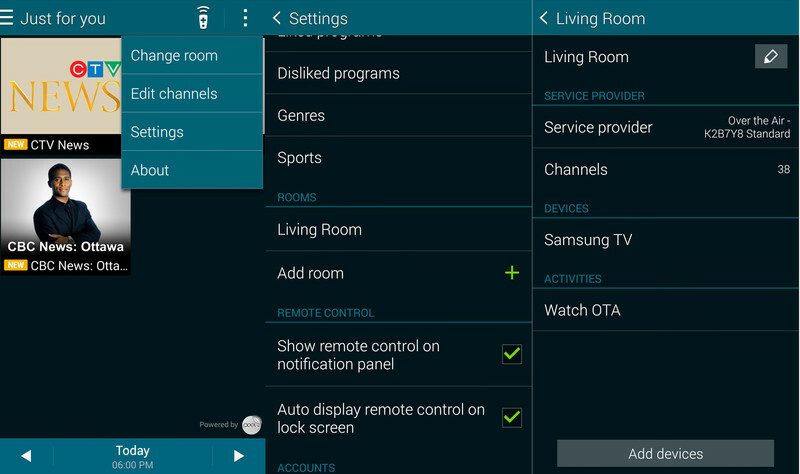 To use your Galaxy S5 as a TV remote, follow these steps: Open your app drawer, tap the Smart Remote app, then press the remote control button in the top right corner. Follow the on-screen wizard to setup your remote with your TV. That’s it! It works with most TVs and you’ll never have to worry about your remote being lodged inside a couch halfway across the room – it will be in your pocket at all times. The Galaxy S5 helps you stay healthy with a heart rate monitor. To access the heart rate monitor, open S Health from the app drawer and then press the Heart Rate icon on the bottom right corner. You can also tap Heart Rate from the main menu. 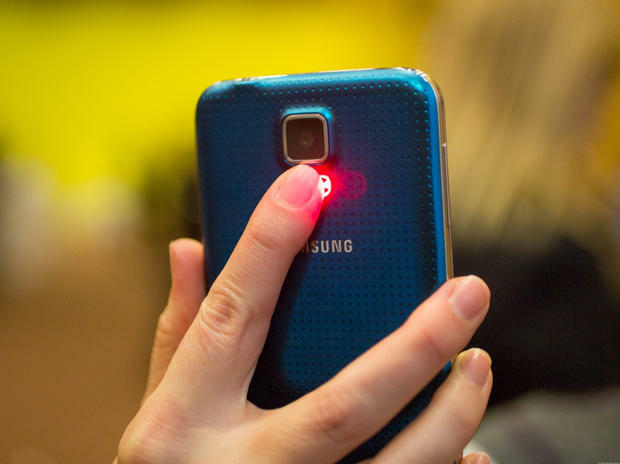 Once activated, you will place your finger over the heart rate monitor at the rear of your phone. Keep the sensor completely covered with your finger and hold still. You can also press the chart button on that widget to view information about your heart rate’s changes over time. There’s a big difference between being waterproof and water resistant. The Galaxy S5 is the former. That means it won’t break if you drop it in a bowl full of water or leave it in the rain. It does not, however, mean you should purposefully go swimming with your device in your pocket or use it underwater. Water damage is never covered under warranty. 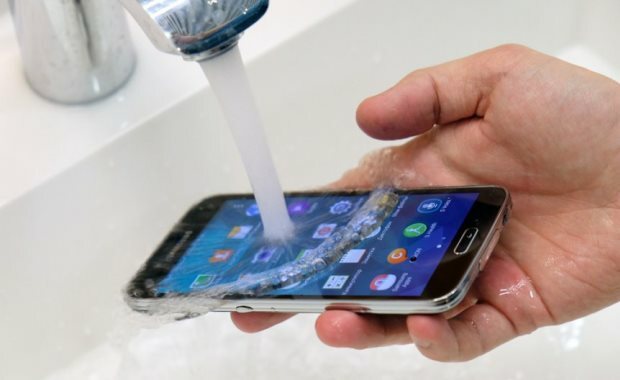 If you do drop your Galaxy S5 in water, it shouldn’t be a big deal. The Galaxy S5 holds up surprisingly well in the water in all torture tests performed so far – just don’t willingly subject your device to torture. Oh, and if the back case isn’t securely latched closed, then your S5 isn’t waterproof. Make sure the case is on securely before you go dance in the rain. Want to keep an extra file or folder more secure? Activate fingerprint unlock security. To do this, go to Settings > Private Mode > Unlock Method > Fingerprint. Turn that on. Then, go to the file or image you’re trying to protect and tap and hold. Tap Settings and then Move to Private. If you didn’t turn private mode on in the previous step, then you won’t see private mode here. Now, you can hide files and folders by turning private mode off and on. When private mode is off, all files marked as private are invisible. 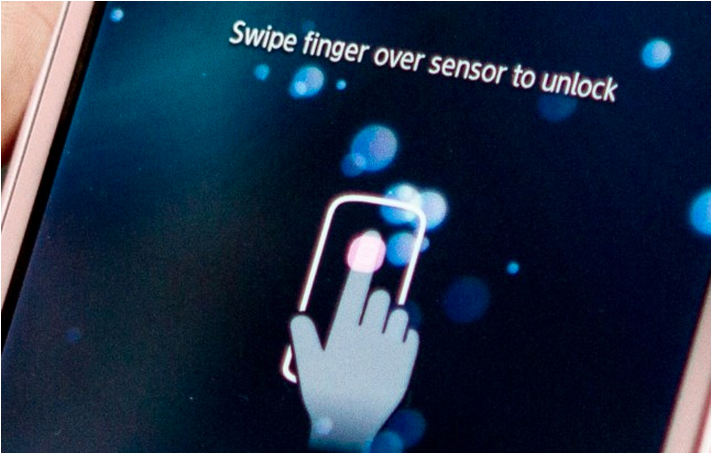 When it’s on, you’ll need to enter fingerprint data. The Galaxy S5 is filled with tips and tricks. If you share a good tip or trick in the comments section below, we’ll add it to our list!